Personalise our Queen Jubilee Custom Plastic Cups and get your name out and about with these great acrylic logo branded tumblers. The Queen's 60 year reign celebrations is certainly something to celebrate, and the Diamond Jubilee 2012 is a good occasion to help expose your Company branding in a good light. 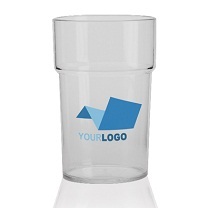 Stackable and strong, these tumblers will last a long time as a good momento to remember this historical occasion. Why not hand these Queen Jubilee Custom Plastic Cups to customers before it's too late, and keep your customers refreshed? For a FREE QUOTE, please fill in the form regarding our Queen Jubilee Custom Plastic Cups and we'll be able to help you.